It is hardly been a while since the ASP .NET MVC model came into existence. And even in its comparatively nascent tenure, the development model and the framework based on the same have garnered a lot of rave reviews in the world of website development. The model has been often looked upon as amongst the ultimate ones for developing web applications and ensures the web compliance and competence of the applications developed based on this model. The domain specific names are defined in the model. While defining the application, do not miss out on including the business logic – which explains the behavior and the relation of the various objects; validation logic – that covers the valid value of a particular object; data logic – which contains information about the same; and the session logic to check the state of the user for the application. – Much reduced duplicity in the business logic. – It is much easier to read the view, in the absence of business logic. – Testing the business rules is farfetched from the model. One of the chief attributes which contributes towards the popularity of the MVC model, is its feature of Separation of Concerns. However, with the large scale and complex requirements, the separate concerns often get mixed up. To avoid the same, developers should just create a separate assembly for the model, subsequently referencing the model assembly in the ASP.NET MVC project. To gain the best from the .NET MVC development, perform all of the input validation in the model layer itself. The validation should also include the client side validation, which often has a drastic impact on the performance of the website, although there are tools to take care of the same, such as Fiddler etc. 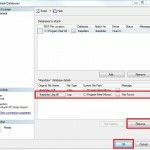 It is now possible with ASP.NET MVC to route a particular URL directly to the controller, instead of a specific file. This plays a key role in enabling the developers to come up with URLs which are completely readable and supports the product and also the search engine indexing. The routes can be simply added with the help of a Route Table, which can be found in the Application Start section belonging to the Global.asax file. With the help of the table, the developers would be easily able to map a particular URL to a Controller and Action. And while we are talking about routing recommendations, it is most opportune to discuss about the controller recommendations as well. The routing system invokes a controller, with a previously specified action and is provided with a pattern matching the URL. The routing system provides the controller with inputs that it needs, including the HTTP request context – cookies, session, and browser etc. The components can be rewritten to match the set of requirements. Also, the custom frameworks can be extended by adding custom behaviors in the filter forms. OutputCache, HandleError and Authorize etc are the set of standard filters included in the MVC framework. These were our set of 6 recommendations pertaining to MVC and .NET MVC3 Development. Let us know what you think about the same, if you have used them in the past and how the experiences were, in the comments box below. What Google Factors Will Tell You about Negative Signals of Your WebsiteSocial Media Marketing Vs Internet Marketing: Which Generates More Revenue?